I actually recorded this piece back in 2000. It started with an improvised drum part. After that, I turned to the keyboard and added on the strings which completely changed the mood. That brought about the synthy guitar sounds and finally a hand drum part. The title comes from the descending strings before the climax. This is a good example of a “through composed” piece. In other words, nothing ever really repeats. Is it noise? Is it disturbing? Is it beautiful? Is it depressing? Hopefully anything but boring. 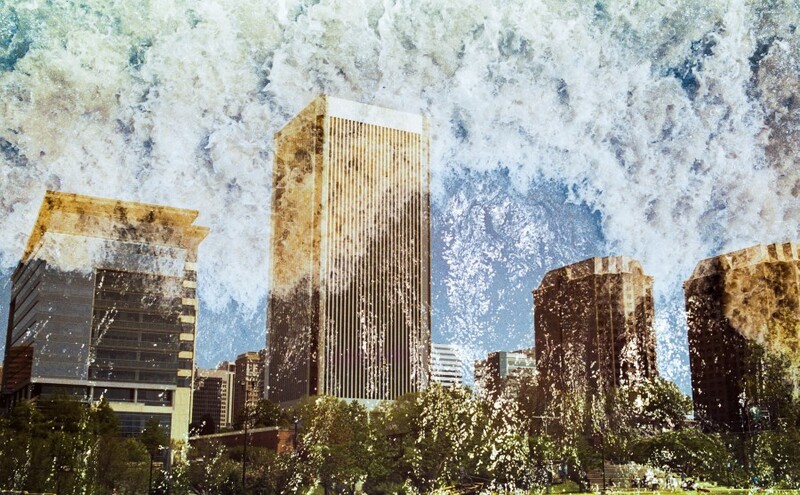 The photo is a double exposure of the rapids on the James River and the Richmond skyline taken on an expired 12 exposure roll of FujiColor Super HG 100. Feel the deluge! Save yourselves!